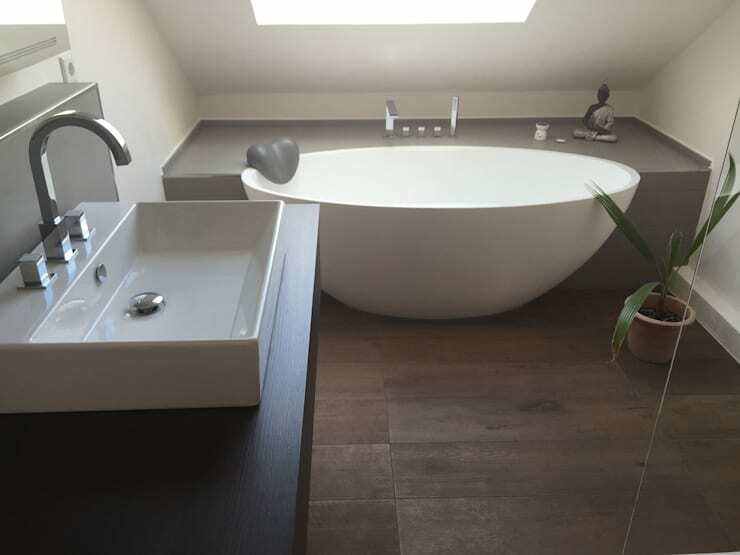 Your bathroom can be used for two things: relaxing after a long, hectic day at work or feeling revitalised and refreshed before facing a new day. But, getting ready to go head to head with new challenges will leave you anxious when your bathroom is an effort to use, means double the trouble. A revamp is a great way to add some fresh personality and attitude to your bathroom, and this homify feature, we look at the 10 best bathroom renovations of 2016! Clutter, poor lighting and mouldy tiles are major threats to a tranquil bathroom experience, and sometimes all you need is a fantastic modern design, neutral colour scheme and perhaps a beautiful bubble bath to unwind. 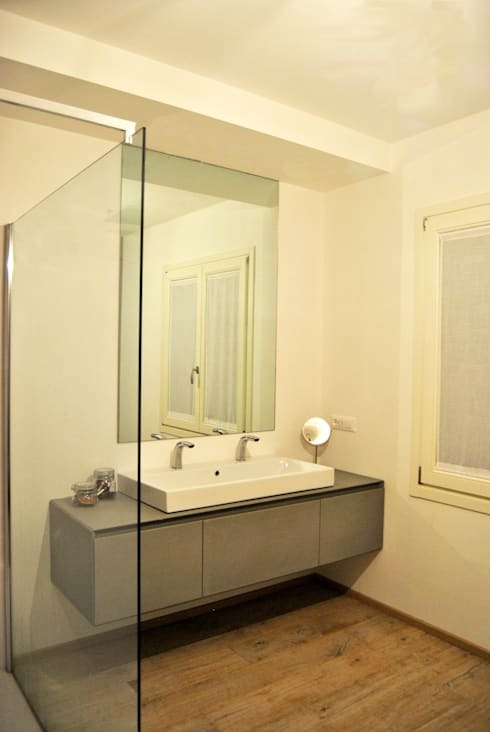 Our bathroom designers ensured that you’ll have the ideal experience if you follow their tips. So, go on and be inspired! 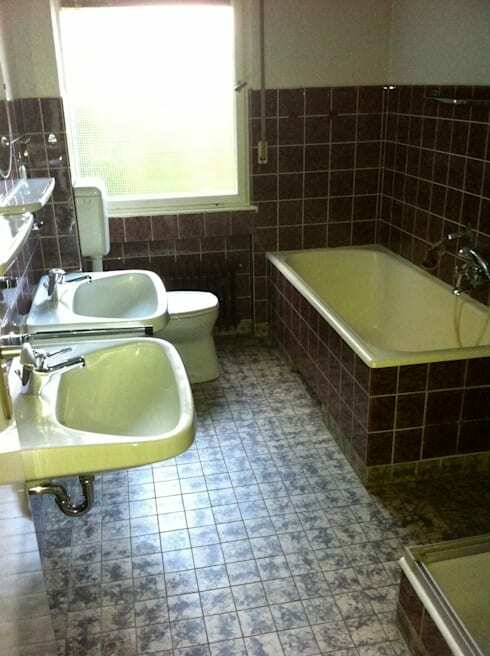 The dark purple and tiles and white fixtures of this bathroom are a definite mismatch. The old and ugly bath tub has been replaced with a sleek shower, while the light colour scheme is just so fresh and fantastic. The dull colour and incomplete look is so dreary. 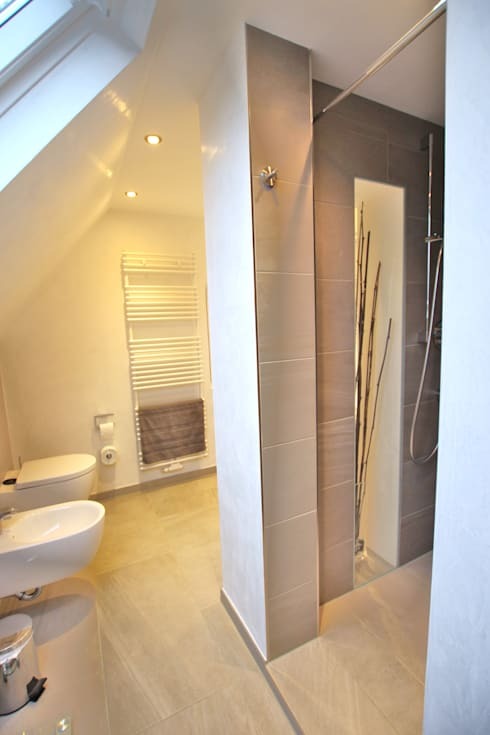 Modern fixtures, clean lines and neutral colours, now that’s a great way to decorate your bathroom. 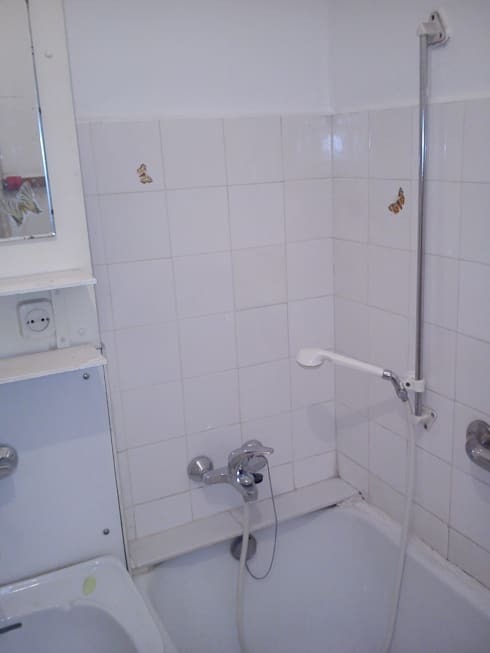 The brown wall tiles are reminiscent of a bygone era in décor, need an upgrade. 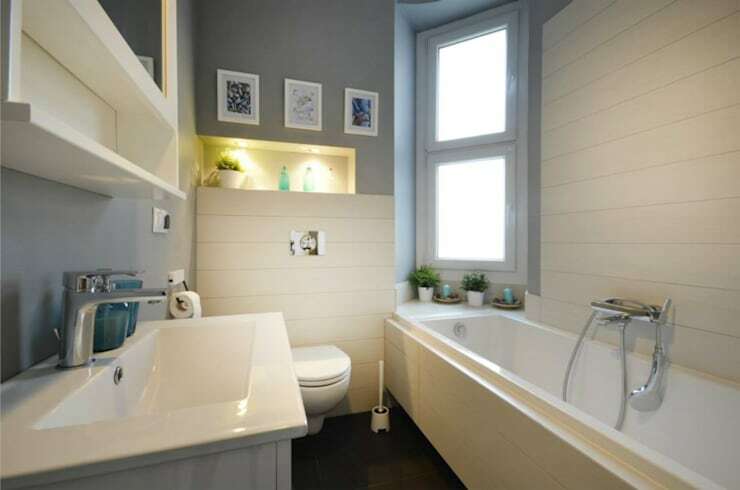 Sand colour ceramic tiles add a brighter décor element to this bathroom, while the sink and toilet have been moved around, creating a spacious layout. 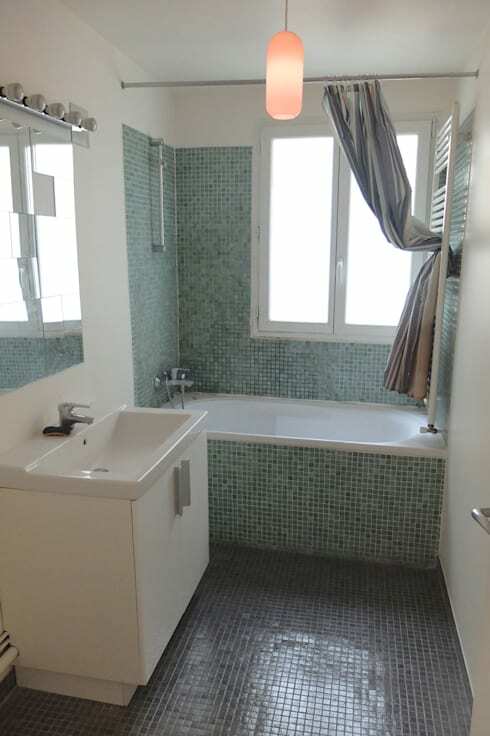 Although this bathroom is in a good condition, it’s quite ordinary, and the turquoise mosaic wall tiles almost limit the look of the space. 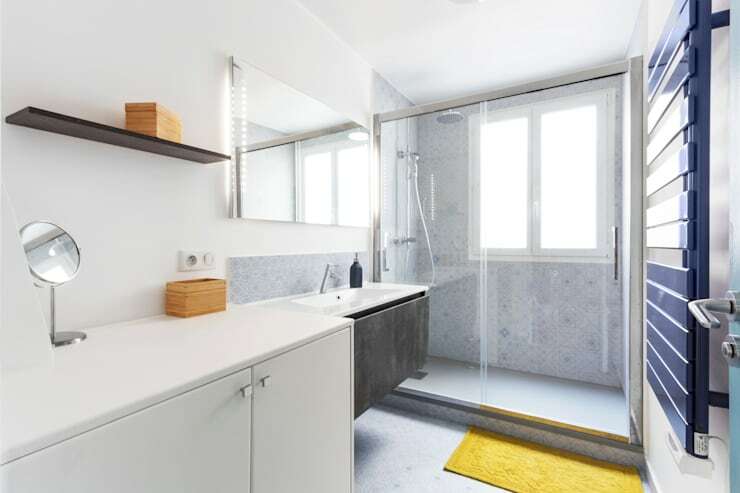 The modern features and updated tiles incorporated a fresh look to this bathroom, with the bath tub being replaced by a shower for that ultra-revitalising effect. Extra storage has also been included, so you’ll always have towels at hand. 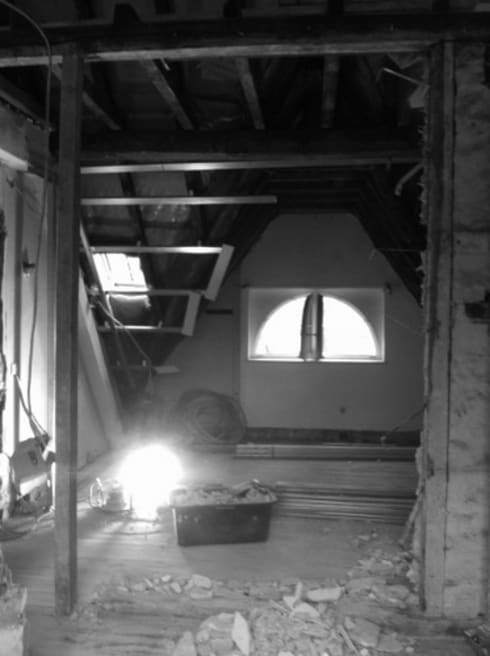 This space has been restructured to accommodate an extra bathroom. 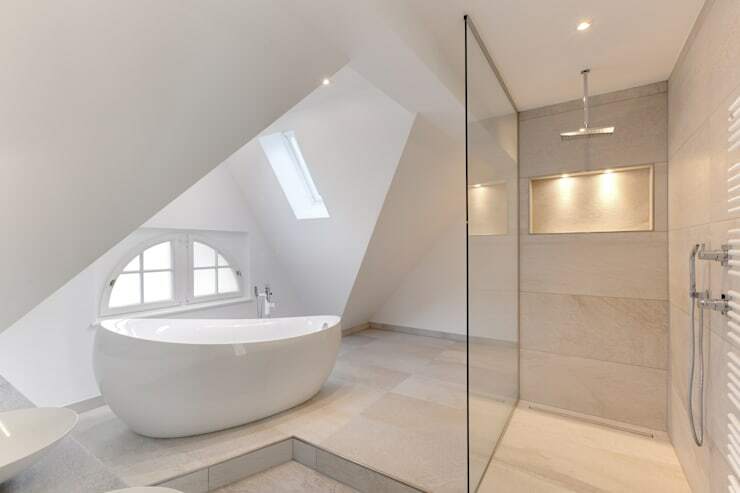 The designers took full advantage of the windows to create a loft bathroom filled with natural light and elegance, it even has both a shower and bath tub. 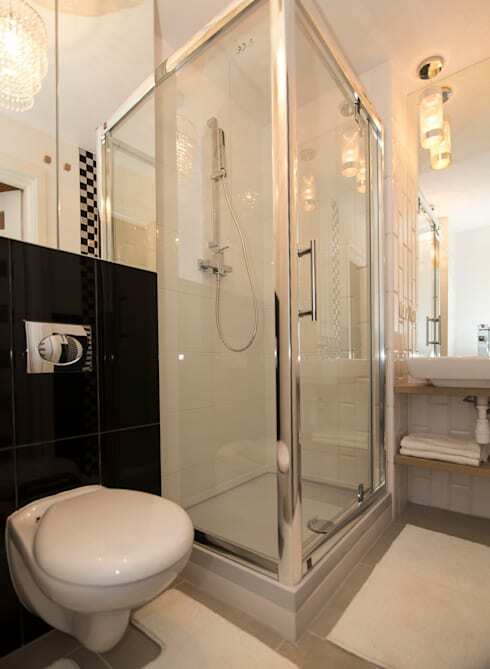 A compact, old fashioned bathroom with grey patterned tiles was in need of a renovation. 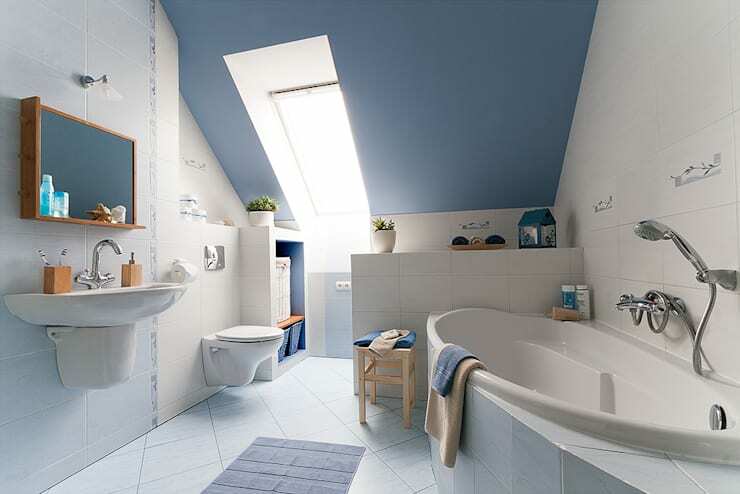 The bathroom is now a beautiful and attractive space decorated in blue and white details, the bath tub, sink and toilet have been replaced with more sophisticated features. 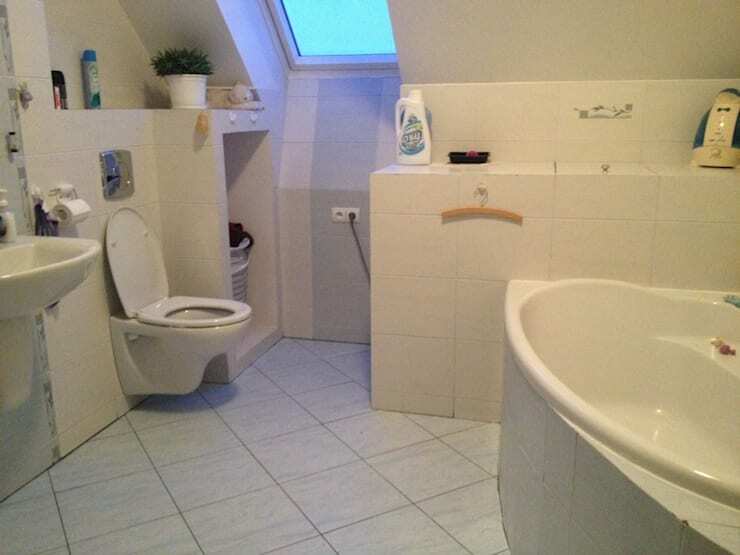 The green and brown colour scheme of this was clearly a décor error. 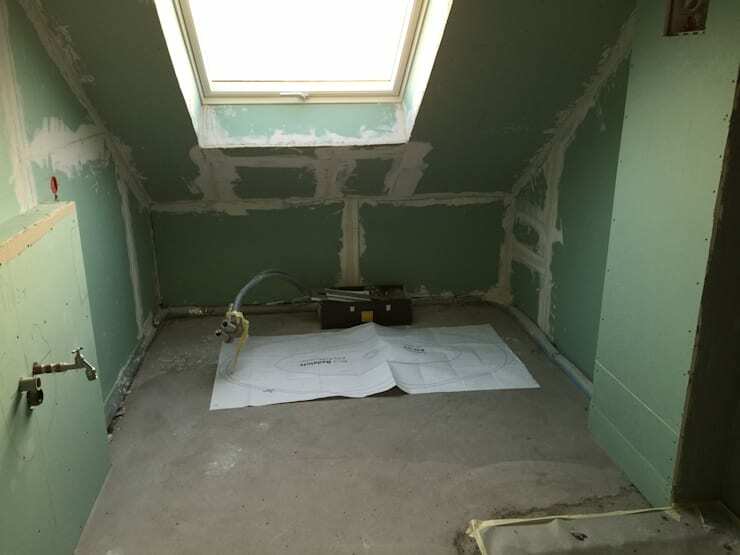 The disgusting colour choice of this bathroom was transformed with simple lighter colours, contemporary fixtures and even some extra storage. 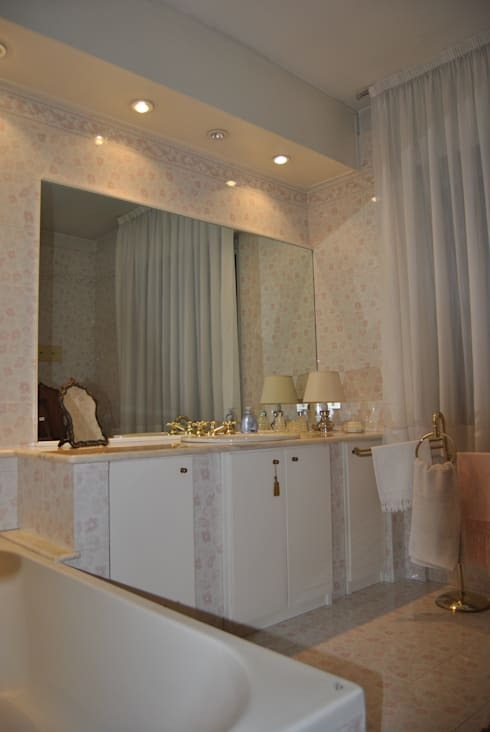 This bathroom is just boring an average, but with some quick tricks it was elegantly upgraded. It’s amazing what a coat of paint and some colourful accents can do to add a designer edge in even the most boring rooms. 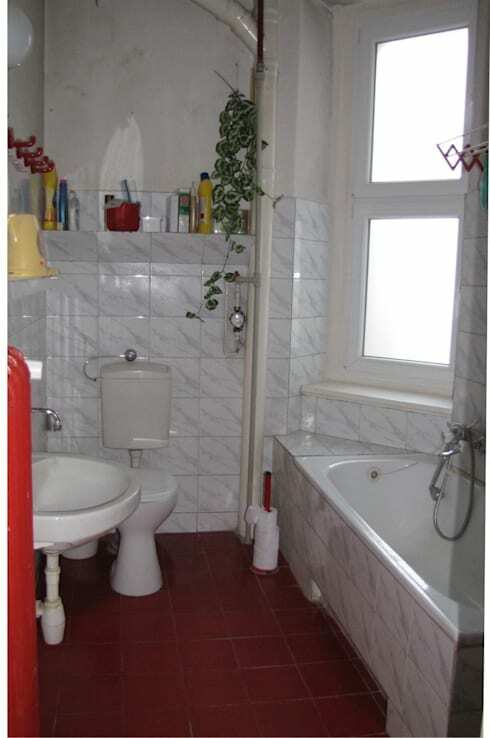 The plain white bathroom is just stark and unimaginative, but wait until you see the renovation. Sometimes all you need are some colourful accents and lovely lighting to enhance that calming and serene design. The lighting is dingy and the colour scheme is outdated. 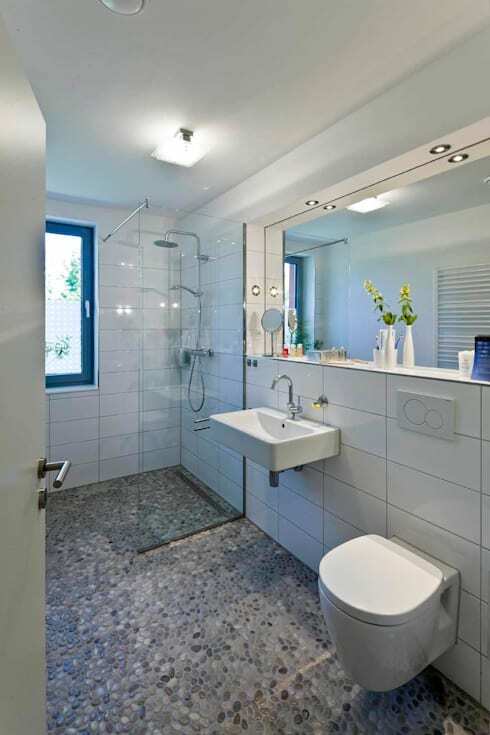 Do you have a favourite bathroom revamp from this feature?